'I'm in story heaven with this book.' Cecelia Ahern, author of P.S. I Love YouSentaro has failed. He has a criminal record, drinks too much, and his dream of becoming a writer is just a distant memory. With only the blossoming of the cherry trees to mark the passing of time, he spends his days in a tiny confectionery shop selling dorayaki, a type of pancake filled with sweet bean paste. But everything is about to change. Into his life comes Tokue, an elderly woman with disfigured hands and a troubled past. Tokue makes the best sweet bean paste Sentaro has ever tasted. She begins to teach him her craft, but as their friendship flourishes, social pressures become impossible to escape and Tokue's dark secret is revealed,with devastating consequences. Sweet Bean Paste is a moving novel about the burden of the past and the redemptive power of friendship. 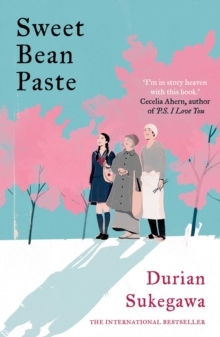 Translated into English for the first time, Durian Sukegawa's beautiful prose is capturing hearts all over the world.